Dover, Kohl & Partners led a community-based planning effort to envision future improvements for downtown Siloam Springs. An interactive design charrette that engaged residents, business owners and interested stakeholders of all ages was the centerpiece of the Downtown and Connectivity Plan. 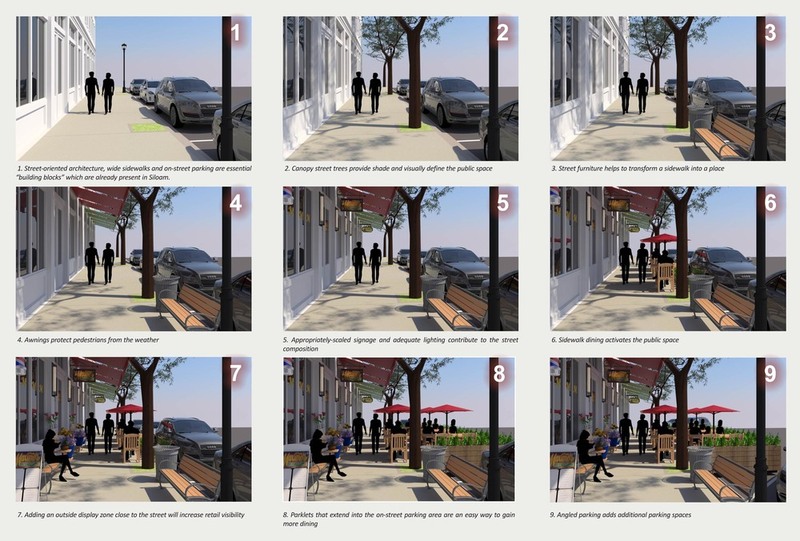 Renewed interest in downtown revitalization, coupled with a desire for improvements to walkability and cycling on area streets and trails, spurred active community participation throughout the planning process. The Downtown and Connectivity Plan builds on the fundamental characteristics of the historic city center. It details specific projects to implement plan goals, such as "road diets" on major streets that narrow vehicular lanes to improve walking and biking facilities, proposals for new and expanded City parks, building a permanent farmers market facility, new trails connections, improvements to the historic springs sites, and locations for additional downtown parking. The Plan identifies potential new uses for historic buildings, as well as locations for infill buildings.